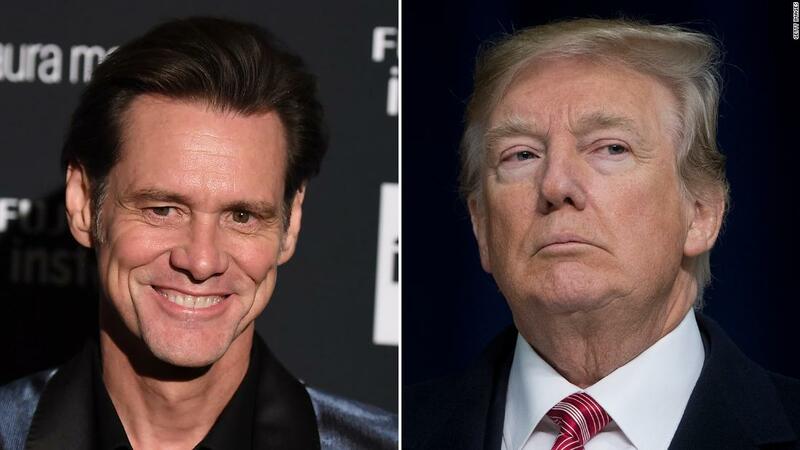 (CNN) Jim Carrey has found a muse in President Donald Trump. His latest creation is a colorful portrait of a screaming Trump in a bathrobe eating two scoops of ice cream, which Carrey jokingly pitched to the Smithsonian National Portrait Gallery, which houses portraits of all former US presidents. (Trump told Time magazine last May that he always gets two scoops with his dessert, while everyone else gets one). “Dear Smithsonian National Portrait Gallery @NPG, I know it’s early but I’d like to submit this as the official portrait of our 45th President, Donald J. Trump. It’s called, ‘You Scream. I Scream. Will We Ever Stop Screaming?” the actor tweeted on Thursday. Carrey slammed Rubio after the Florida senator would not commit to declining donations from the National Rifle Association during a CNN town hall in February following the Parkland, Florida, school shooting. Carrey criticized House Speaker Paul Ryan following the passage of the GOP tax bill. He also slammed Senate Majority Leader Mitch McConnell in November ahead of the bill’s passage. Roy Moore, a former Alabama Senate candidate, was accused by several women of pursuing sexual relationships with them when they were teenagers, molesting a 14-year-old and sexually assaulting a 16-year-old when he was in his 30s. Moore, who lost the race to Democrat Doug Jones, has repeatedly denied the allegations. Bannon, Trump’s former chief strategist, backed Moore, and eventually so did the President. California Rep. Nunes, the Chairman of the House Intelligence Committee, spearheaded the February release of a disputed GOP intelligence memo, which alleges FBI abuses of its surveillance authority. Carrey sketched former President Barack Obama in a more favorable light. “Dear @BarackObama – Already, I miss your intelligence, integrity, elegance and humor. #RESPECT,” he tweeted days after Trump’s inauguration.